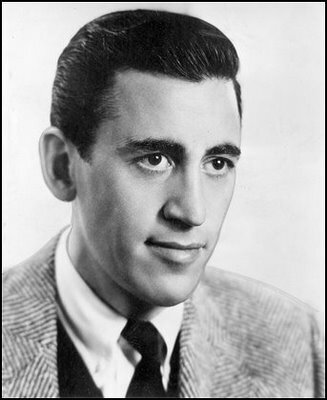 American writer J. D. Salinger has died of natural causes, aged 91. He was best known for his novel, Catcher in the Rye. 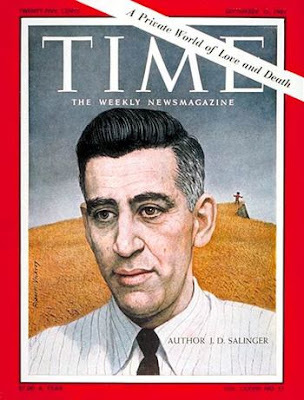 Mr. Salinger, who was born on Jan. 1, 1919 in Manhattan, has lived in seclusion in the small town of Cornish. N.H. for more than half a century. He has not been photographed in decades. Salinger had his own troubled history in various schools until he was dispatched to Valley Forge military academy at the age of 15. There he began writing at night using a torch under his bed covers and published his first story in a fiction magazine in 1940. He submitted a number of stories to the New Yorker that were rejected, including one called I Went to School with Adolf Hitler. But the magazine did accept a later story about a disaffected teenager called Holden Caulfield, the first time the character appeared. In 1942 Salinger was conscripted to fight in the second world war where he took part in the Normandy landings. He married a German woman while serving with the occupation forces after the defeat of Hitler. The couple moved to America but the marriage soon fell apart. Salinger took up Zen Buddhism. Jerome David Salinger retreated from the limelight in 1953, living life as a virtual recluse at his home in Cornish, New Hampshire. His last work was published in 1965. If a writer is defined by their writing (or at least the writing they allow the world to see), then Salinger has effectively been absent for over 40 years. He took himself away and he never came back. So far as the world is concerned, his actual death arrives almost as an afterthought. [...] Perhaps no other writer of so few works generated as much popular and critical interest as Salinger, who published one novel, three authorized collections of short stories and an additional 21 stories that only appeared in magazines in the 1940s. 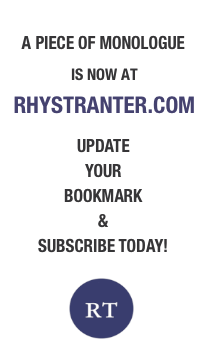 He abandoned publishing in 1965, when his last story -- "Hapworth 26, 1924" -- was published by the New Yorker. Rarely seen in public and aggressively averse to most publicity, he was often called the Howard Hughes of American letters. His silence inspired a range of reactions from literary critics, some characterizing it as a form of cowardice and others as a cunning strategy that, despite its outward intentions, helped preserve his mythic status in American culture. Still others interpreted his withdrawal as the deliberate spiritual stance of a man who, shying from the glare of celebrity, immersed himself in Eastern religions, particularly Zen Buddhism and Hindu Vedantic philosophy. His stories -- heavily autobiographical, humorous and cynical -- focused on highly idiosyncratic urban characters seeking meaning in a world transformed by the horrors of World War II, in which Salinger was a direct participant. The recluse's recluse, Salinger's refusal to engage with the outside world had long been abetted by a 1,600 strong community that did its best to be unhelpful to visiting reporters and fans. That code of silence was clearly disintegrating when I visited, as many neighbours were more than happy to supply anecdotes and theories about the local celebrity known by all as "JD". Still somewhat cranky, he was - it was commonly agreed - respected rather than liked. Sadly, nobody was able to offer a definitive answer on the burning question of whether he was still writing - a former girlfriend said she once saw shelves loaded with notebooks and two completed but unpublished novels. What they could say was that he was an increasingly rare sight in Cornish, although he still ventured occasionally to the local supermarket, restaurant and café. As for socialising, the only event he appeared still to patronise regularly was a monthly turkey dinner at the little Universalist Unitarian church - a multi-religion denomination that would have appealed to a man who tried out several faiths - 10 miles away in the town of Hartland. [...] Where did this start? 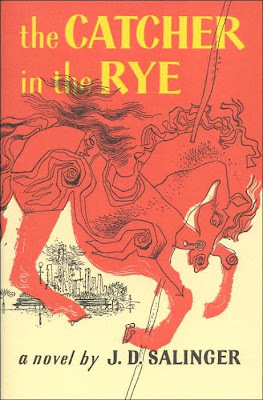 In a 1940 letter to a friend, a twenty-one- year- old Salinger describes his novel in progress as “autobiographical”; decades later, too, in an interview with a high school reporter—the only interview he’s ever given—Salinger says, “My boyhood was very much the same as that of the boy in the book.” Of course, there are differences. Unlike Holden, Salinger is, among other things, a half-Jewish, half-Catholic brotherless World War II vet who attended a military academy. He did, though, like Holden, flunk out of prep school, and he was also, like Holden, manager of his high school fencing team, in which capacity he really did, according to his daughter, Margaret, once lose the team gear en route to a meet.